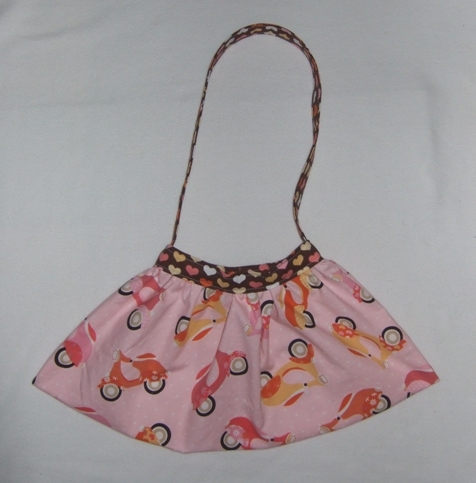 « Crafters Swap follow up!! 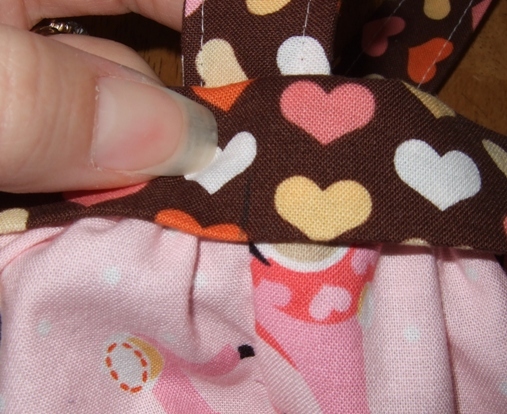 Now with your seam in the center, use your marking pen to put marks at the “half way” marks on both ends. 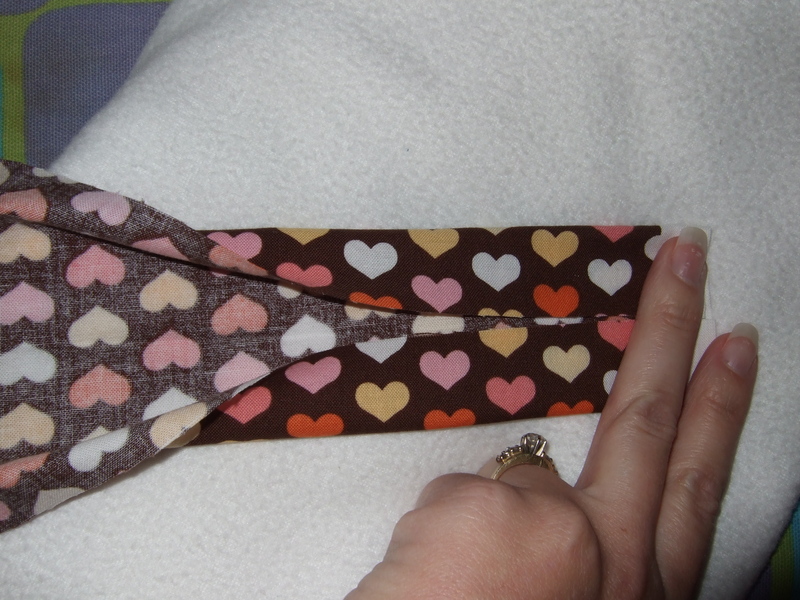 These will be where we line up the straps and the side seams of the bottom of the bag!!! 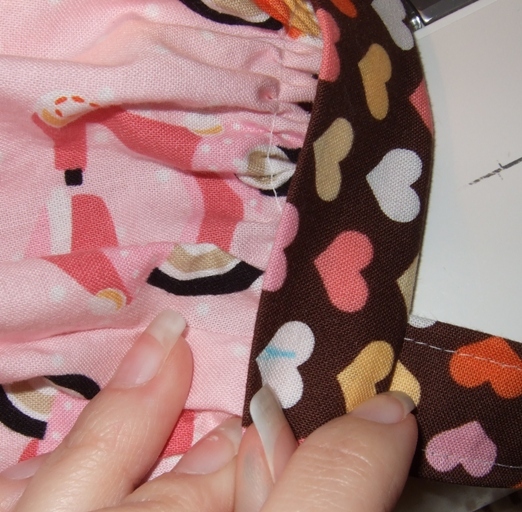 Step #9 – With your trim piece securely folded over all the ruffled raw edges of the bag piece, sew along the edge like so. 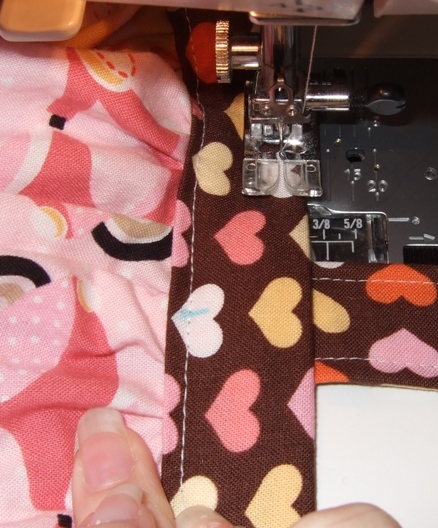 Make sure your strap is folded up and out of the way as seen above in the picture. 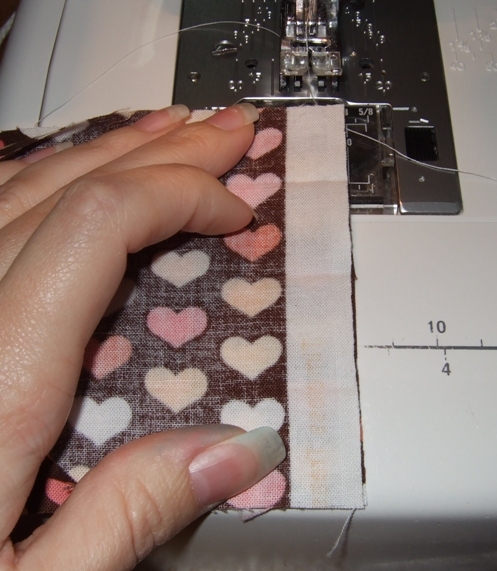 Tuck the edges in as you go. 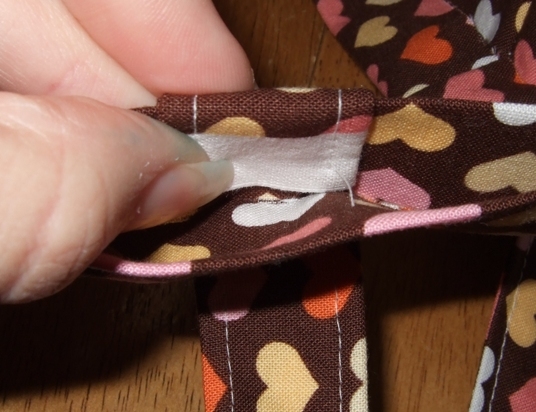 When you get a few inches away from the other strap, be sure to line up the side seam with your strap & mark. 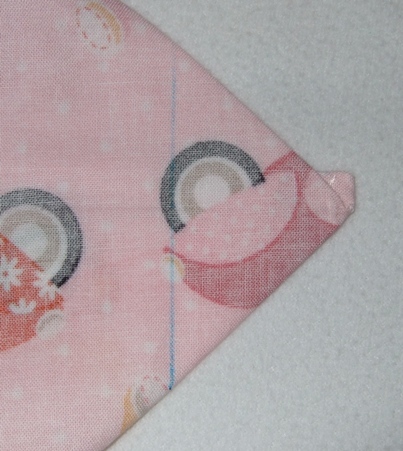 Here is what I did to square the bottom a little. 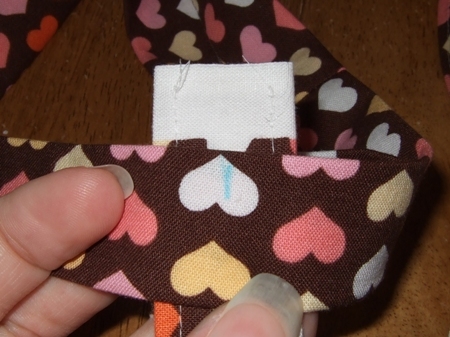 Iron the corners of your bag piece FLAT. 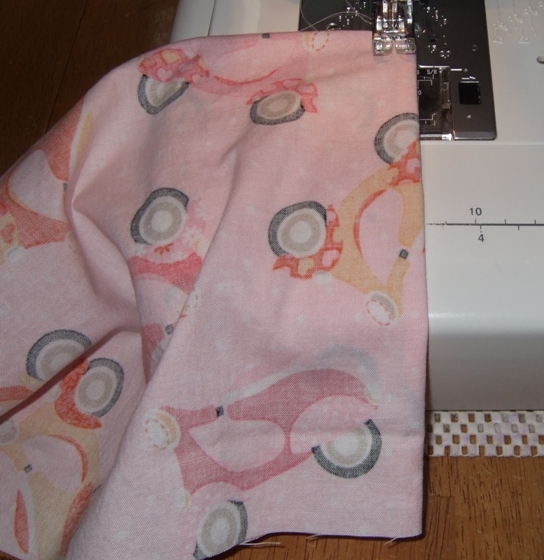 Then open the ironed corner and match the side seam with the ironed line made at the bottom. 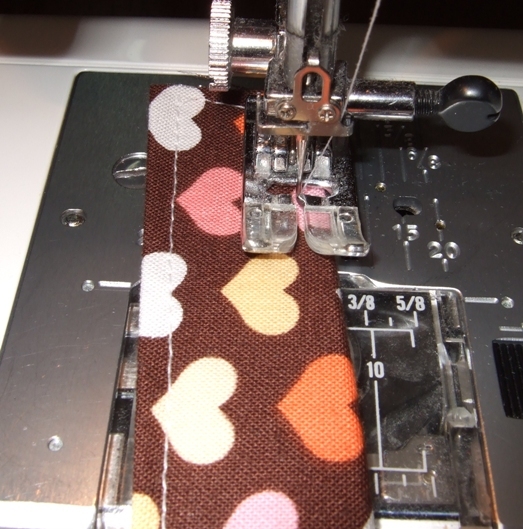 Measure in with your ruler 1.5″ from the tip and sew this line! 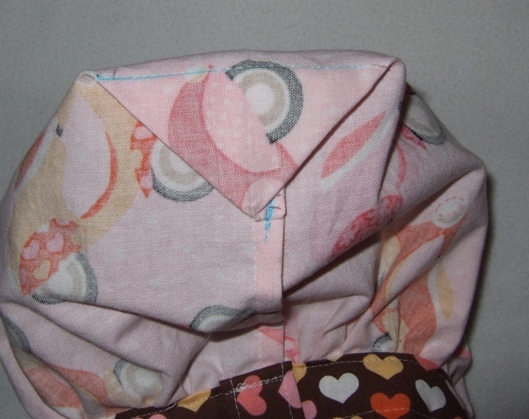 I then folded up the “triangle odd piece and tacked it to the side seam allowance. 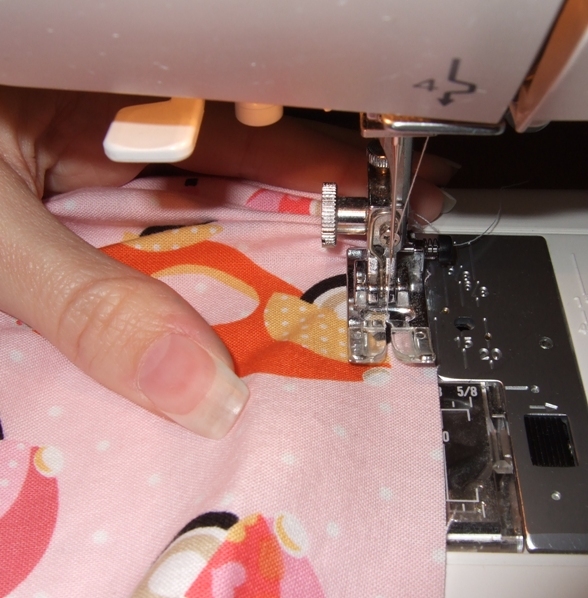 DONT SEW THE BAG just along the seams 😉 You could also cut the piece off and zig zag the edges but I wanted to keep the inside clean! Here is the results with my 9 year old! 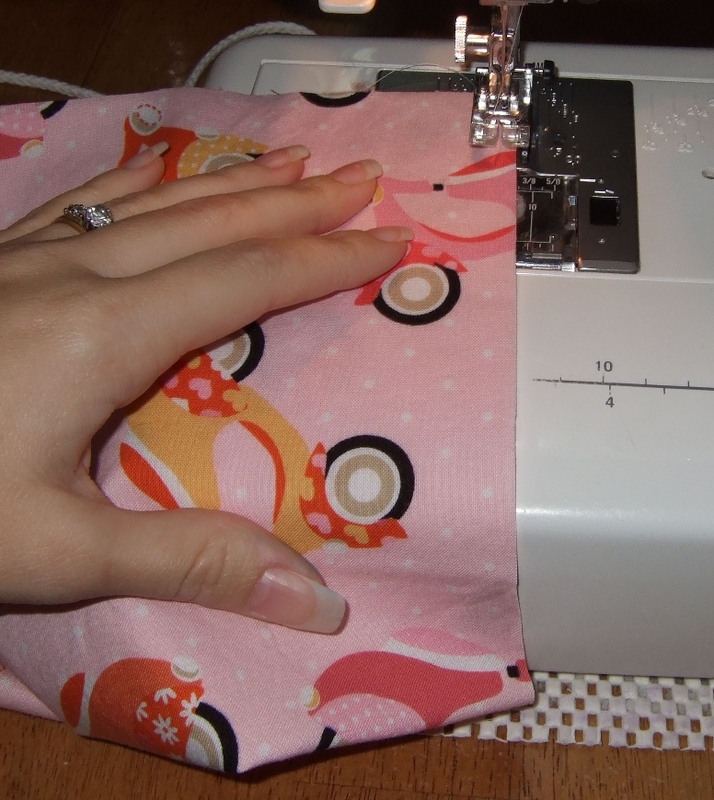 This entry was posted on November 20, 2009 at 12:06 am and is filed under 1, sewing, Tutorials. You can follow any responses to this entry through the RSS 2.0 feed. You can leave a response, or trackback from your own site. Im completely in love with this purse!!!!! That is so cute! You make it look so easy. Can’t wait to try it! love the bag! What a great site…. I’ve subscribed to your RSS feed. Is okay if I post a picture and a link on my blog. 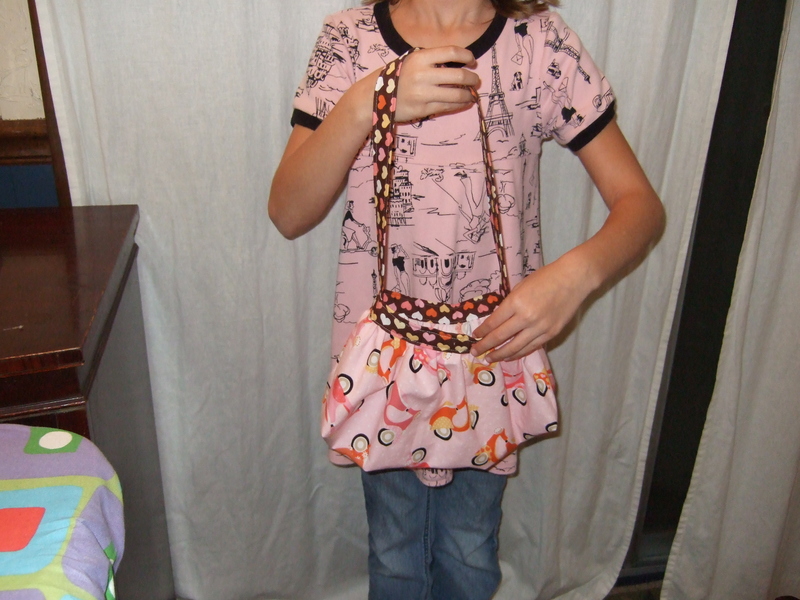 This is the perfect purse for a young girl! I have 4, and my 2 oldest need to start carrying a purse (10, and 9). 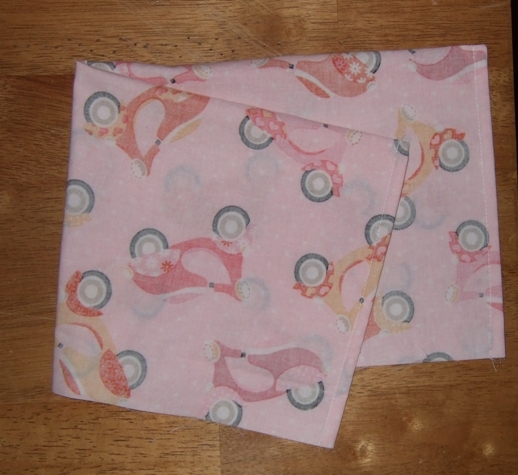 I’m going to whip up a couple this next week for them. I learn so much with tutorials and am so thankful you shared this one. Lovely job! I most certainly will make sure to don’t forget this web site and give it a glance on a constant basis. 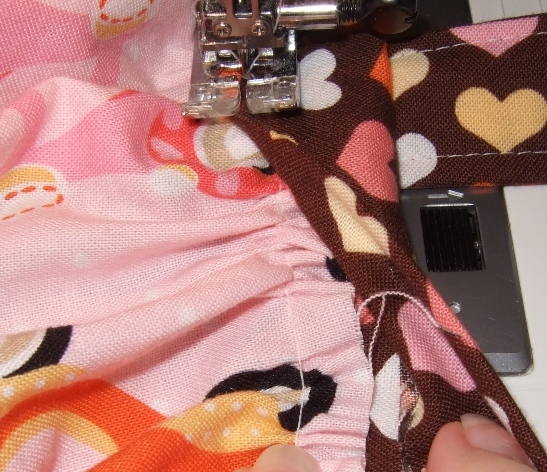 Just wondering where to find the actual pattern pieces? 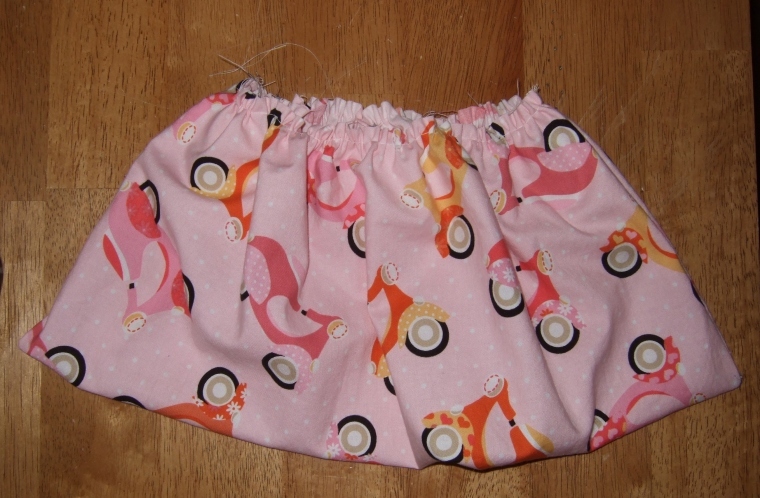 This looks like something I could make for my daughter even with my minimal sewing skills. Nevermind, that’s how much of a novice I am. I see now that it’s literally just two rectangles you cut out. Sorry. Thanks very much for sharing this! 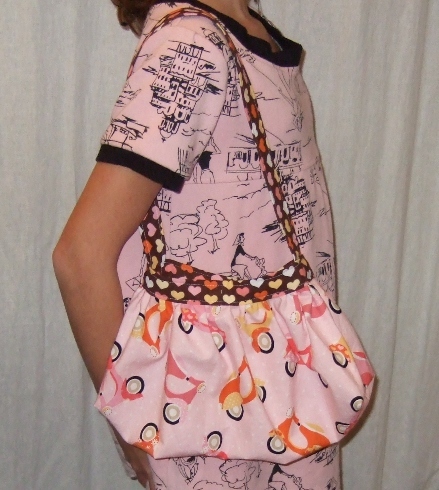 I just made a very cute handbag to go with my daughter’s birthday dress. Thanks forr the marvelous posting! I seriously enjoyed reading it, you’re a great author. job, havee a nice afternoon!